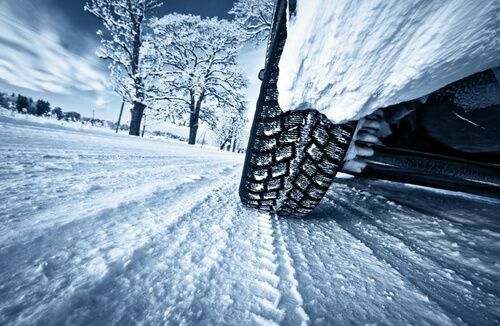 5 Tips for Prepping Your Car for the Winter | The Consumer Law Group, P.C. />Cold weather is coming! Is your car ready? While routine maintenance is essential to keeping your car running, winter presents some unique challenges that must be dealt with to stay safe on the road. Here are 5 things you should make sure are in order with your car before winter weather hits. Car batteries run on chemical reactions and these reactions happen more slowly during cold weather. This leads to the battery operating with less energy. Before it gets cold, get your battery tested so you don’t find yourself stuck out in the cold with a dead battery. Most auto parts stores will be happy to test your battery for free. All three of these are imperative when driving in winter weather. Make sure your heater and defroster are working properly so that you’re able to see out of your windshield. Check your wipers and wiper fluid, as these can be very helpful in snowy conditions. Motor oil will thicken during cold weather, which can sometimes make it more difficult for your engine to start. Make sure you’re not overdue for an oil change and that you have the proper level of oil in your car. If you live in a particularly cold climate, you can purchase synthetic motor oil which will remain a liquid even in extremely cold temperatures. Your brakes are one of your cars most important safety features. You need to make sure your brakes are working properly because during snowy or wintery conditions you will need to have your brakes working at top performance. The amount of time spend preparing your tires will depend on how much snow will fall where you live. Everyone should check their tire tread depth and tire pressure. If you anticipate dealing with frequent snow, make sure to check your tire pressure weekly. You may also want to consider snow tires or chains to help keep you on the road.